This chapter explores plants that are used for medicinal and social uses. 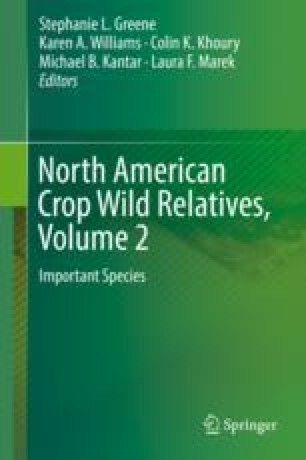 It first gives a brief overview of taxa that are found throughout North America, how and where they are conserved and how they are distributed. It then looks at four economically important taxa, Theobroma cacao L. (cacao), Nicotiana tabacum L. (tobacco), Actaea racemosa L. (black cohosh), Humulus lupulus L. (Hops), as case studies of how medicinal and social plants have been used over the centuries and how their wild relatives have been conserved and how we can expect these plant to be used in the future.